Growing up, you are tasked with creating Father’s Day gifts in elementary school. My first choice was to gift a homemade craft to my stepfather who I saw everyday, but then what about my biological dad who I talked to and visited in prison? Looking back now, I can’t help but wonder, why couldn’t I make two crafts and why wasn’t this option provided to me by grown- ups? 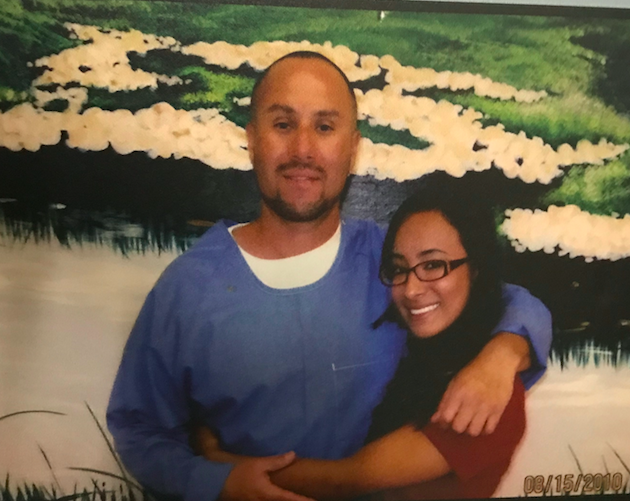 And that’s what special days like father’s day can sometimes mean for children, like me, with an incarcerated parent - ambiguous and left to our own devices on creatively navigating a holiday that is not always inclusive of different family relationships. Fast forward over 20 years later, father’s day has a slightly different meaning now that my father is free. Metal bars no longer confine our relationship. While still ambiguous, there is new hope for our relationship to evolve. More importantly, I think about the children who may be hesitant when Father’s Day rolls around each year and my hope is that as their older siblings, caregivers, teachers, friends and extended family members, we take time to talk, understand and provide emotional support to them. Alexandria S. Pech is a 5th year PhD student at The University of Arizona. Her work explores the way the criminal (in)justice system impacts adolescents of incarcerated parents within school, family and community contexts. She also serves as a volunteer facilitator for the Children of Incarcerated Parents program at the Kinship and Adoption Resource Center in Tucson, Arizona. As an adult child with an incarcerated father, she utilizes her lived experiences to facilitate a discussion on how to advocate for youth impacted by structural inequality.